Calculate your EASYPHALT consumption online. 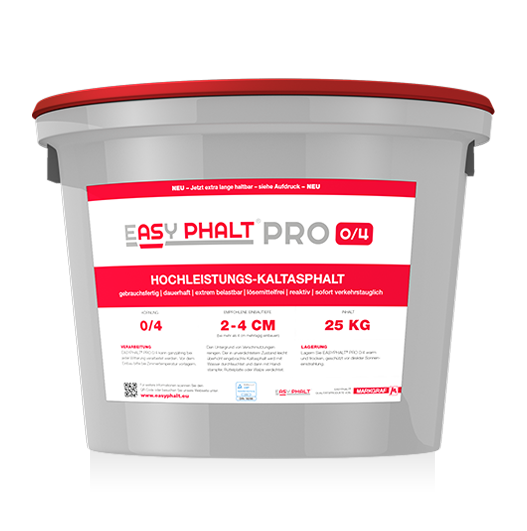 ORDER ALL EASYPHALT PRODUCTS ONLINE - EVEN IN SMALL QUANTITIES. 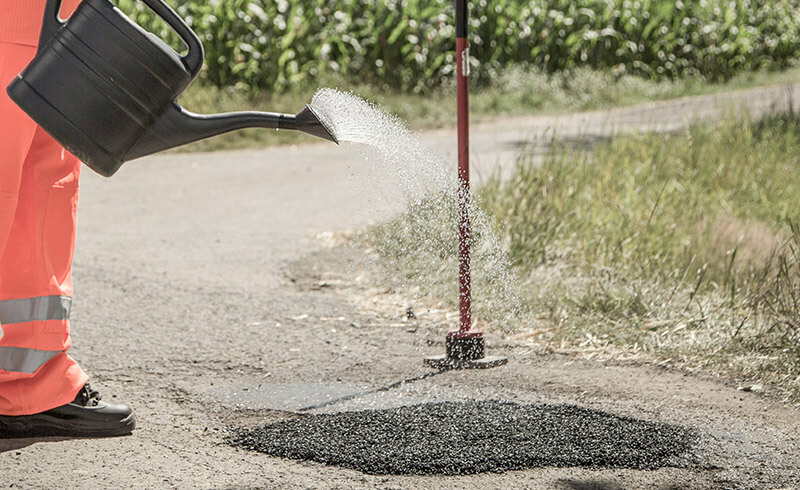 The solution for potholes, pavement distress and boil holes! 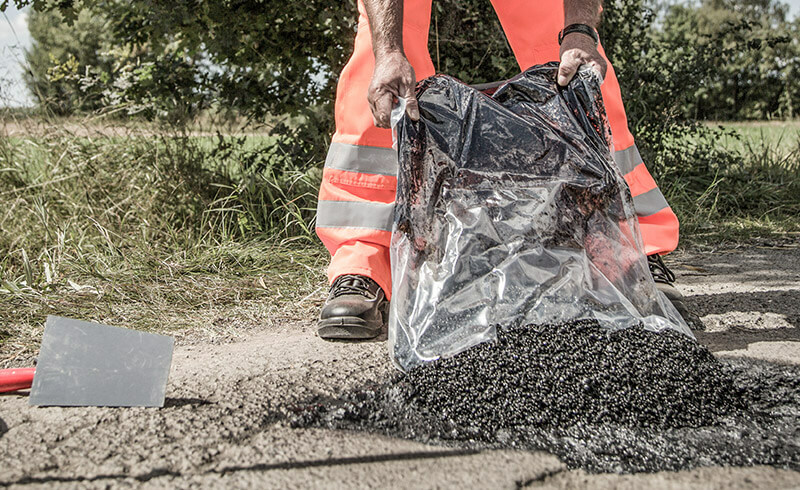 EASYPHALT® has wide-ranging applications – from new, small surfaces in traffic route construction, the repair of cracks due to freezing and potholes, sealing the road surface after civil engineering work, as well as railway and tram tracks, manhole covers and paved surfaces. 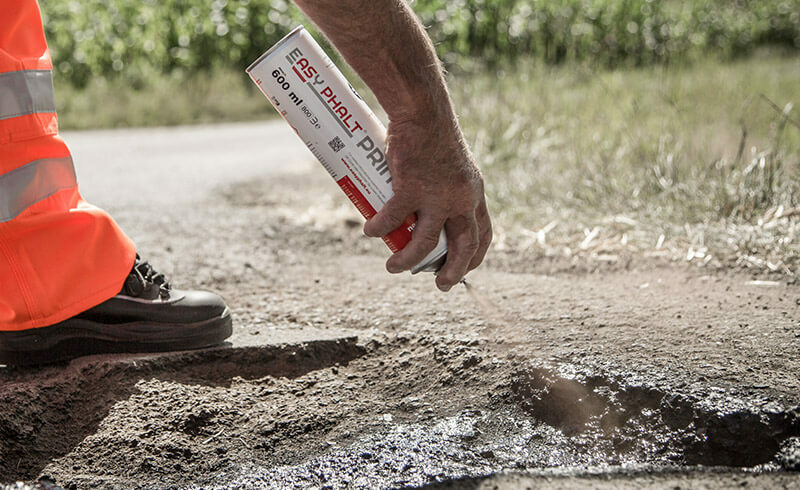 EASYPHALT® works on traffic surfaces of every load class. Depending on the installation depth, four different grain sizes are available. 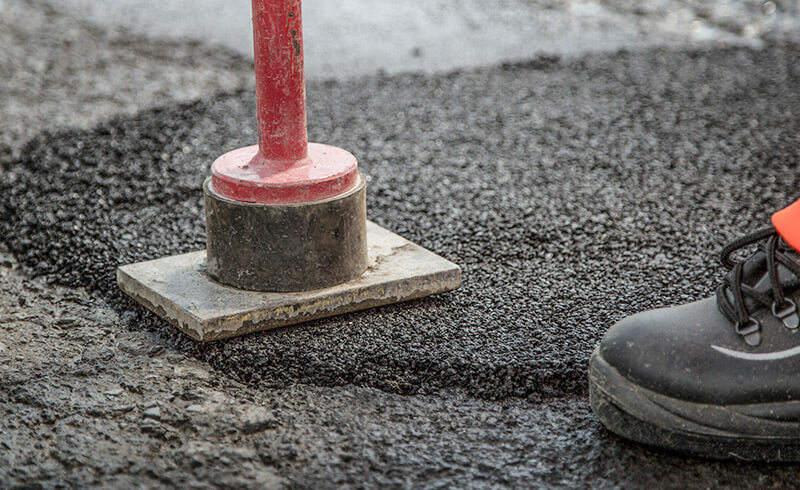 The installation can be carried out by one person in a maximum of four work steps – without the use of construction machines – which makes it fast, uncomplicated and cost-effective. 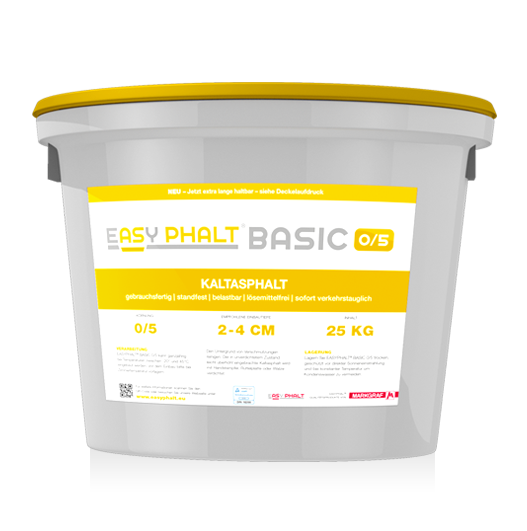 EASYPHALT® is cold-processed without further additives and is ready for traffic or loads immediately after installation. 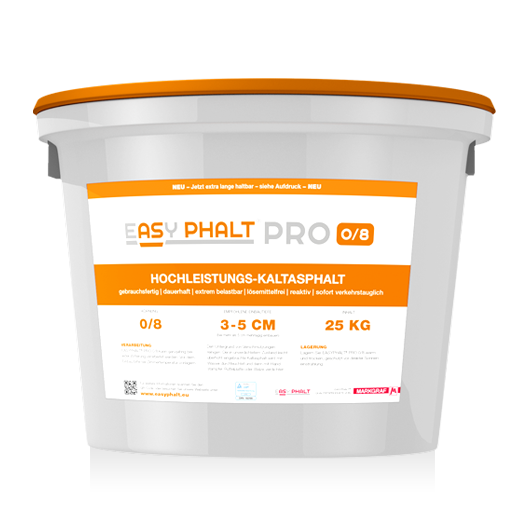 EASYPHALT® PRO and EASYPHALT® AQUA reach their max. 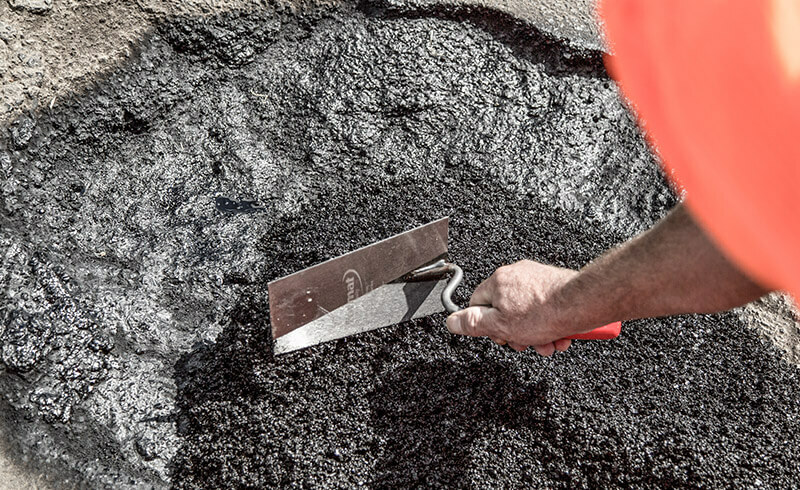 stability after only a few hours and can be covered with hot asphalt at any time. 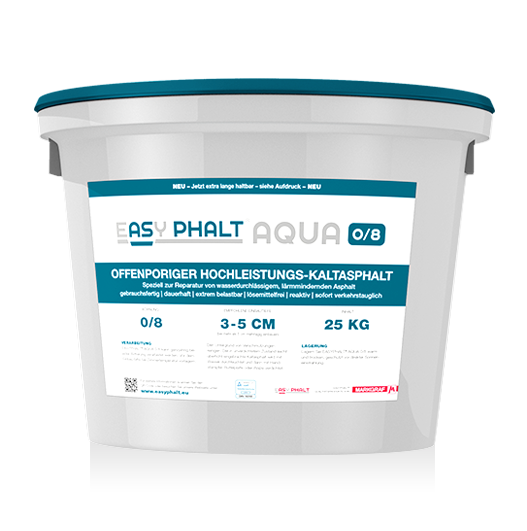 EASYPHALT® consists of environmentally friendly raw materials, is ecologically friendly, solvent-free and recyclable. 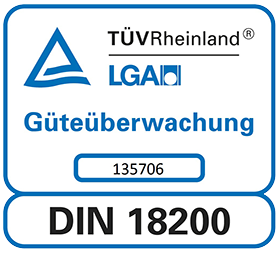 The production takes place under strict quality controls. 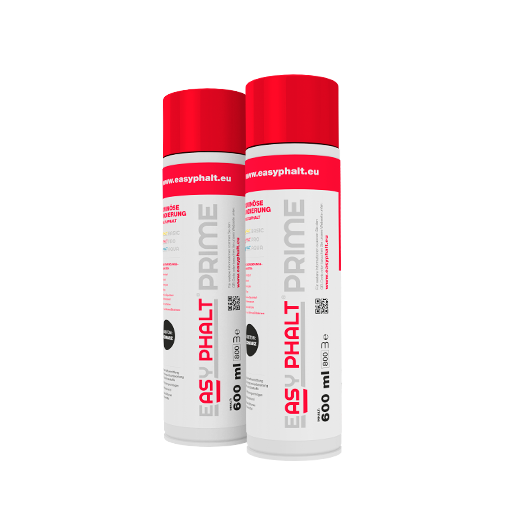 EASYPHALT® is not sensitive to frost. 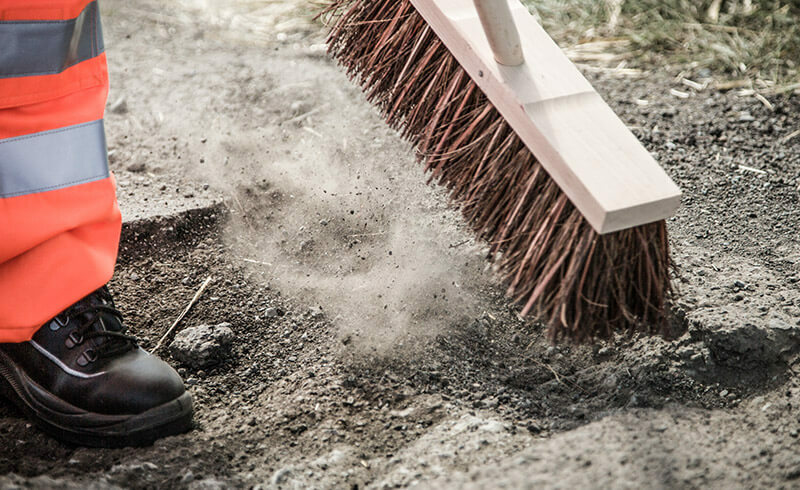 Easily calculate how much EASYPHALT® you need using our Consumption Calculator. 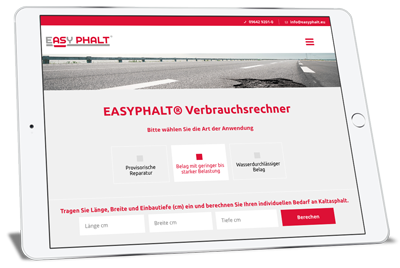 You can now also order EASYPHALT® directly online or request a quote. Simply use our order request form – even for the smallest of quantities. Note: You can revoke your consent for the future at any time by sending an email to info@easyphalt.eu.